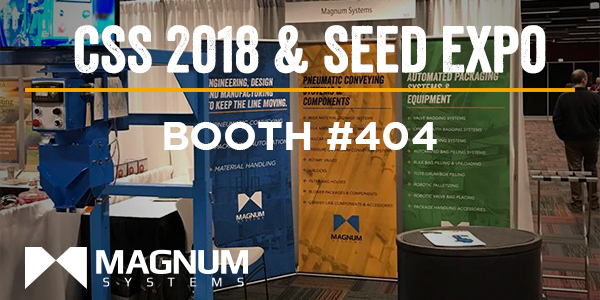 Magnum Systems is gearing up for this year’s largest seed industry conference put on by the American Seed Trade Association (ASTA). Magnum Systems has deep roots in the agriculture industry providing weighing, bagging, filling, and palletizing equipment around the world. We have an extensive product offering to handle stand-alone bagging applications to fully-automated packaging systems with robotic palletizing. Stop by our booth #404 in Chicago next month, we would love to discuss your next project with you! Magnum Systems engineers, designs, and manufactures pneumatic conveying and packaging automation systems to keep your line moving.